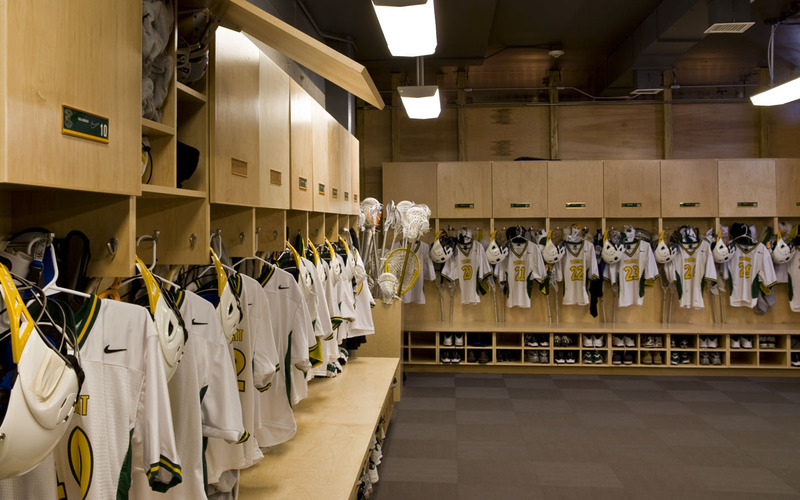 The UVM Men’s Soccer and Lacrosse teams turned to TruexCullins to replace one wing of an aging public locker space with new locker areas that are contemporary and expansive. 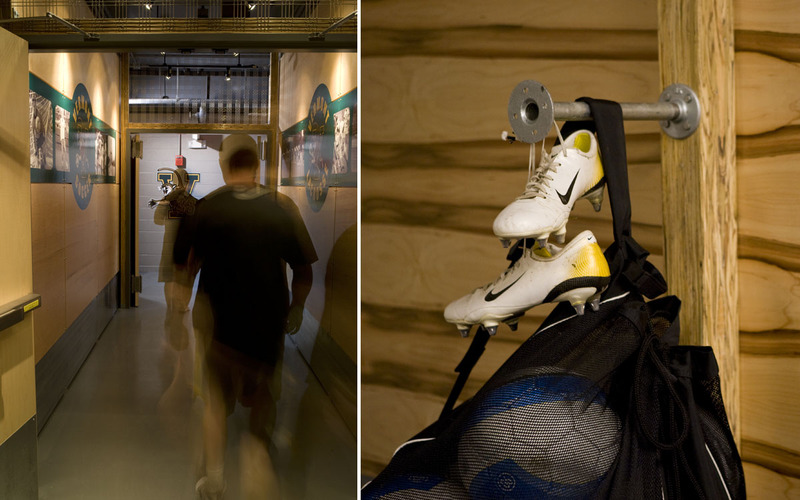 The locker rooms provide access to existing showers and exterior fields while allowing for secure access to new team spaces. Stainless steel grilles atop each dividing wall maintain air flow, and ceiling fixtures above are painted dark to maximize the perceived space.